One of my favorite ways to use pasta is by making pasta salads! I recently made a delicious pasta salad that was a hit! 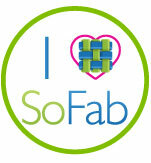 This is something I will be making again soon. 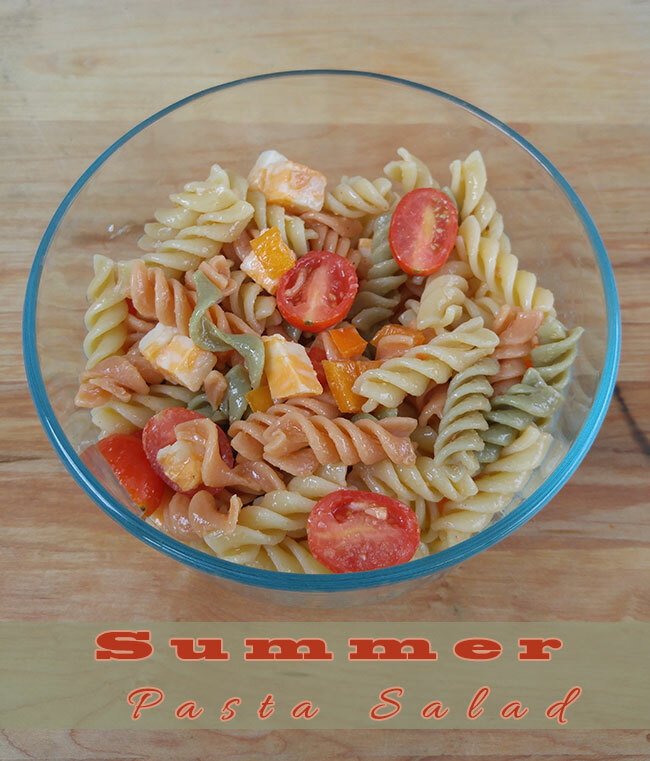 My summer pasta salad recipe is full of flavor and easy to make. I used the garden rotini pasta, some cheese, bell peppers and used some Balsamic Vinaigrette to give it a little extra punch! 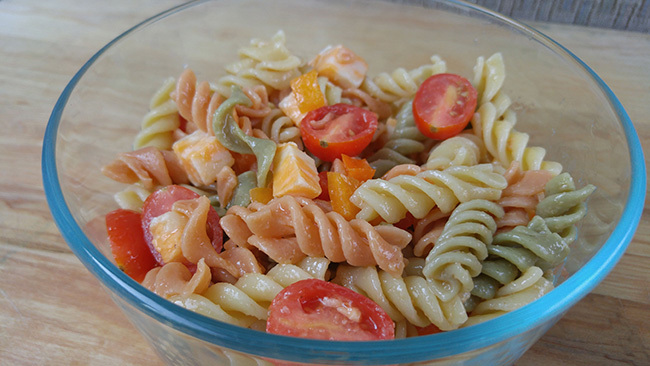 This pasta salad goes great as a meal or a side dish. A perfect recipe for those looking for potluck side dishes. Cook pasta until al dente. Drain and rinse with cold water. Add pasta to large bowl. Add bell peppers, cheese, white vinegar, onion powder, garlic powder and salt. Toss to mix ingredients throughout pasta. Add Balsamic Vinaigrette and cherry tomatoes. Toss lightly. I am sure that you can come up with a few other ingredients to add to make it your own creation.